We were sent these images from Katie Notton of Your Perfect Cake. 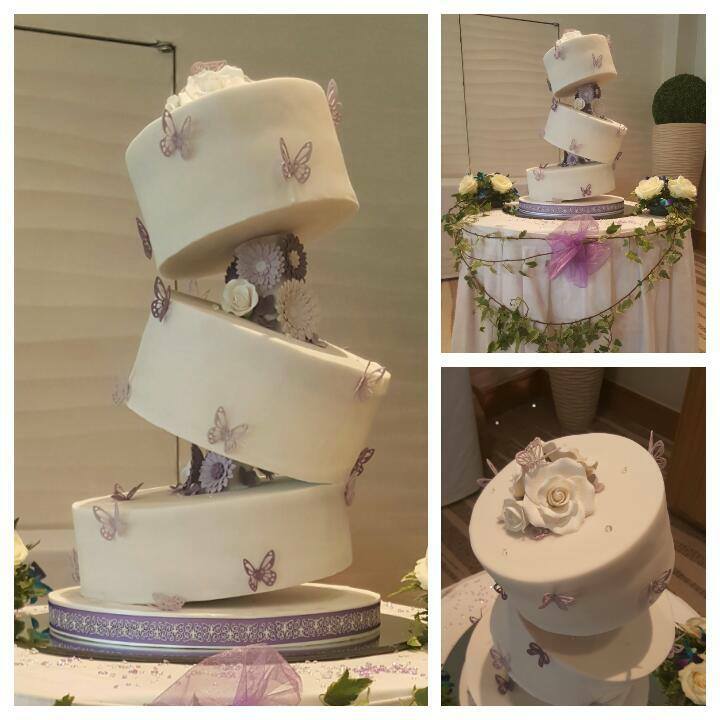 The wedding cake was made using one of our 3 tier topsy turvy / wonky cake stands which are available from our shop. This entry was posted in Topsy turvy cake stands. Bookmark the permalink.